I’ve got something in my eye, I swear. A thousand thank-yous to everyone who came to the Discover a New Love paranormal party! What a blast. We talked rock stars, shifters, goblins, vampires… You name it. The randomly selected prize winners have been posted, you can find a list, here. I believe next month will be a historical chat, for those of you who enjoy the genre. Keep an eye out here, to find out more. As I approach my deadline for Hunter by Night I’m feeling a wee bit of stress. One of the places I go when I need a good laugh is The Bloggess. I love this woman. She called me talented, which is the coolest thing ever even though I kinda paid her for it (I paid her to advertise on her blog. I did not, actually technically, pay her to call me talented. I’m ALL warm and fuzzy over this.). Anyway, her book is hilarious, and so is her blog, but after stumbling across this she is officially my new hero. I just registered my 5 year old for Kindergarten.Seems like “only yesterday” he fit in the crook of my arm and now he’s (this very moment) racing through my kitchen belting out “Gangnam Style.” (And when I find the person responsible for teaching him that song, I will end them.) But anyway… I’m super psyched to have the kid going to school next year. It’ll mean a little more peace and quiet for me, maybe, with only one kid at home during the day. More importantly, I know HE is excited about going to a “big kid” school. But I must have something in my eye because they’re all leaky. My baby is getting to be a big kid. Time flies, huh? My Facebook page is at 488 follows! When I hit 500 I’ll be doing a giveaway. One randomly chosen “liker” of my page will get their choice of a copy of King of Darkness, Prince of Power, or a T-shirt and some swag if you’ve already read both books (and my undying gratitude). Go like my Facebook page to get in on the action. Interview and giveaway at Under the Covers book blog! Go here to find out who my favorite authors are, why I like vampires, and enter to win a copy of Prince of Power. Oh, and there’s a steamy teaser excerpt, too. Giveaway ends 1/29. 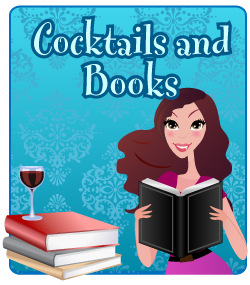 Cocktails and books has me sharing my favorite scenes from Prince of Power, stuff I like to collect, my favorite types of movies, and another chance to win Prince of Power! Giveaway ends 1/26. 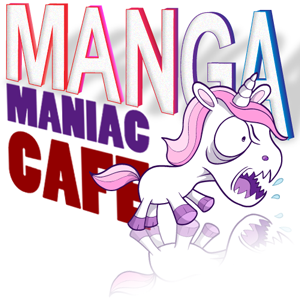 Stop by Manga Maniac cafe for another interview and another chance to win a copy of Prince of Power! Find out Anton and Tyra’s special song and the last book I read that knocked my socks off. But F*ck, at Least it’s Friday.